OcuMel UK and MPNE are delighted to work in partnership, organising a 3-day conference bringing patients and caregivers the latest information on ocular melanoma and rare cancer’s. 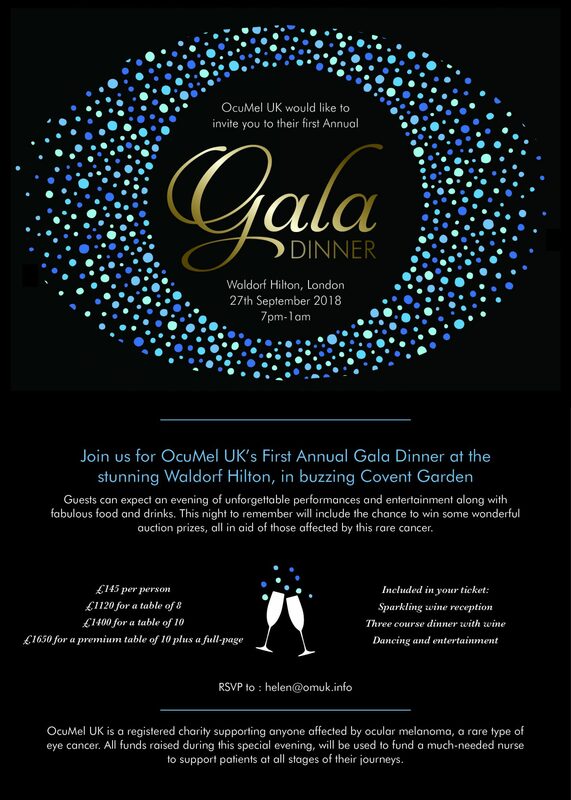 Join us on the 27th September at The Waldorf Hilton, Covent Garden for a truly amazing night. Sensational close-up magic performed by magician Josh King. The evening has been arranged by Joanne Morgan, who was diagnosed with ocular melanoma last year. She quickly realised more support was needed and so is really making this evening a special event with some truly incredible auction prizes. Individual tickets can be purchased through www.ocumelgala.eventbrite.co.uk or discounted tables of 8 are available at £1120 or tables of 10 at £1400. Please email Helen here for more information. Proceeds from the evening will be used to employ a care coordinator nurse to support people affected by ocular melanoma. The experience this person will bring will make an immense difference to people, particularly if their cancer progresses, as delays in accessing treatments are unfortunately common. It will also allow us to work more closely with hospitals, helping us to extend our reach to more patients. Please contact us if you have any questions or would like to register an interest. Invitations will be issued shortly to our members to join us for our Annual General Meeting (AGM) and Taskforce Group. This will give us the opportunity to share with our work over the last 12 months and look at our priorities for the year ahead. We know we have some major challenges and projects that need completing with urgency, and so we ask our members to join us and form taskforce groups to tackle some key areas. More information will follow but please contact us if you have any questions or would like to register an interest. Back by popular demand…. 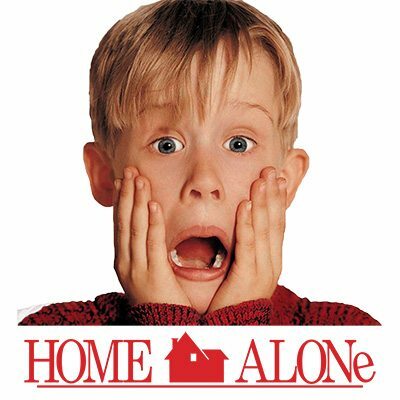 Join OcuMel UK to watch an all-time favourite Christmas movie, Home Alone with your family and friends in the comfort of a private cinema!